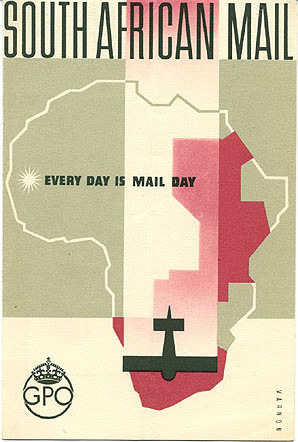 Brochure for the South African Mail, circa 1938. Signed "Varnon." Front cover.